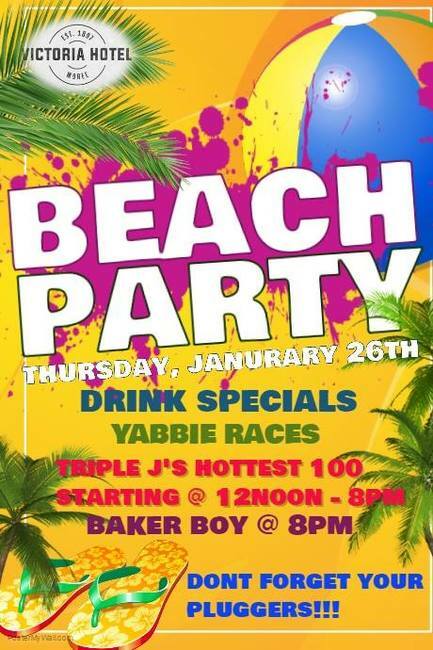 Drink specials, yabbie races, Triple J's Hottest 100 starting at 12 noon- 8pm. Baker Boy at 8pm. Don't forget your pluggers!! Don't forget to catch your yabbies for our yabbie races! !